Wellington: A. H. & A. W. Reed, 1960, Hardback in Dust Wrapper. From the cover: “When Vice-Admiral Hickling came to New Zealand ten years ago he travelled the country largely as a fishing tourist — his itinerary was little more than the route from one fishing district to the next. Thus he came, saw and was conquered — by the Tongariro River, spawning-ground of the magnificent rainbow trout of Lake Taupo. Closer acquaintance with the river’s succession of lovely pools and reaches, and the fish they hold, was enough. Vice-Admiral Hickling has lived beside the Tongariro ever since! 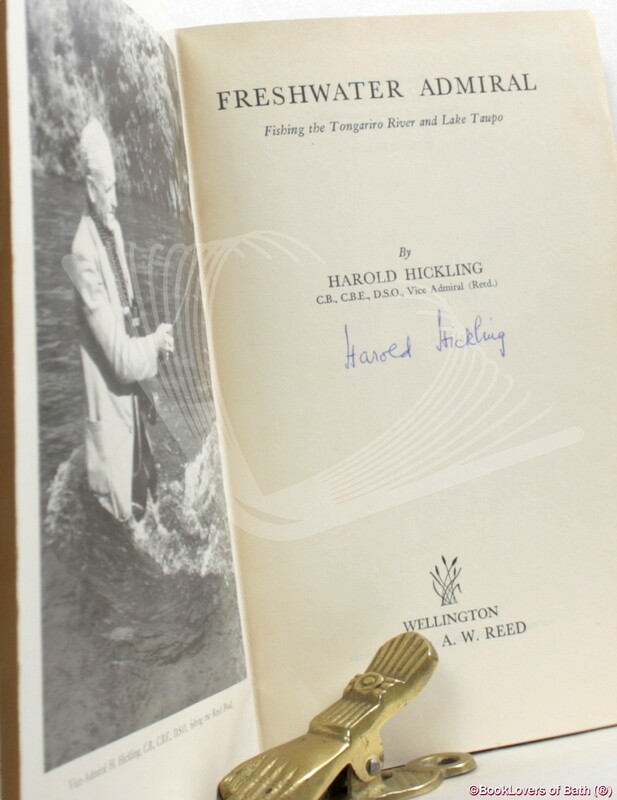 Since he settled at Turangi, the township that serves the devotees of the Tongariro, he has explored the river’s pools and reaches with the efficiency of a lifetime naval officer and the enthusiasm of a dedicated trout fisherman. Not only this, but he has introduced dozens of visiting V. I. P’. s and novice fishermen to the river, giving tuition where necessary and providing always the guidance that enabled them to find and catch their first Tongariro rainbows. 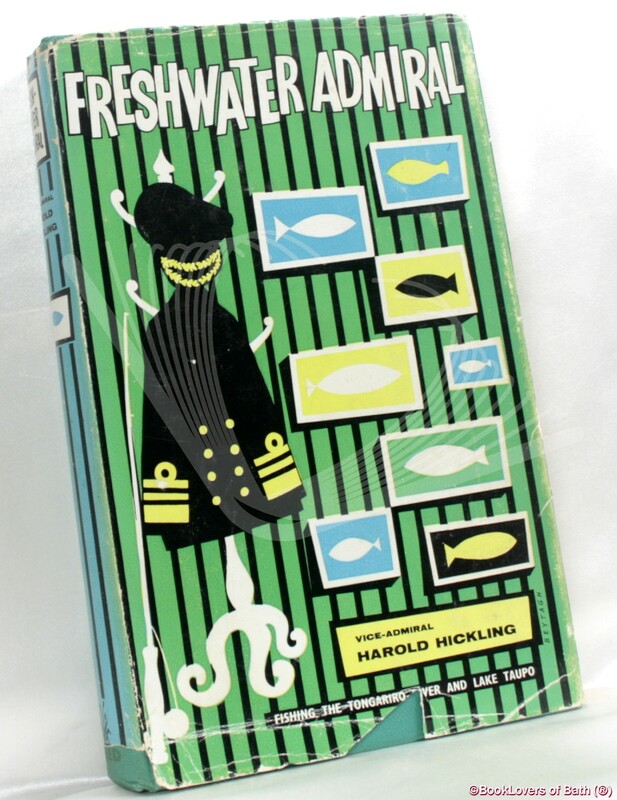 Freshwater Admiral is the summation of Admiral Hickling’s ten years on the Tongariro, but it is much more than a trout fisherman’s “Baedeker” to a famous fishing river. 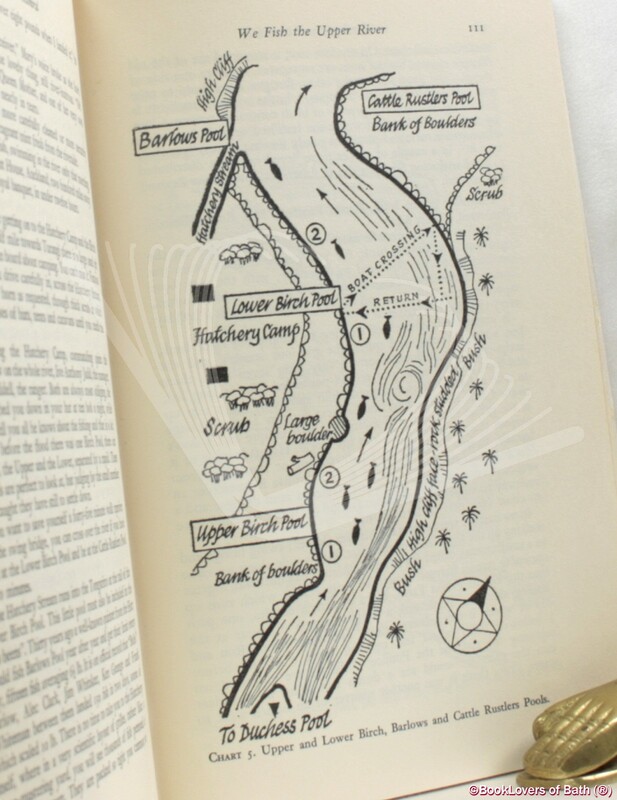 Famous and infamous fishermen stud its pages, stories of fishing fact and fiction are included in their dozens, and humour prevails in yarns told by and often against the author, whose lively personality is apparent on every page. Size: 8¾" x 5½". Green boards with Red titling to the Spine. 255 pages.